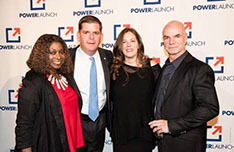 Corinthian Events proudly partners with many of New England's non-profit organizations that help Boston, New England and beyond. Preserving the integrity of the fundraising goals we partner with non-profits to develop a realistic budget while also creating an amazing event destined to become an annual destination. We play fair and keep the proceeds where they belong. "This is the second year we've worked with Corinthian Events - they go above and beyond every time - but throughout the whole process their sense of quality, care for the spirit of an event, and stellar professionalism give us such confidence in both the process, and the result is always terrific." 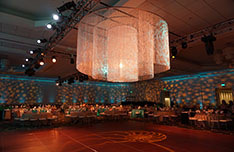 Space constraints often pose a challenge for an event designer when you have a packed house. The challenge – how to bring the look and feel of their invitation into the room with little to no floor space once guests tables, staging and dance floor were in. 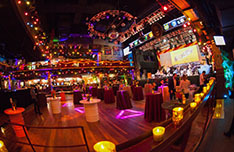 Over 1,000 guests rock out with some of the hottest bands in entertainment. Opener Nathaniel Rateliff & The Night Sweats followed by headliner FLO RIDA, jammin' hit after hit at this Havana Night themed evening. At a new Fundraising concept, tonight guests delighted in dishes prepared by celebrity chefs, sipped wine, and cheered for their new favorite organizations.